It's all about where we're at home. New York State natives by chance....New York State residents by choice. "Warner's Way" is a Southern Tier and Finger Lakes Region Real Property Management & Development company. 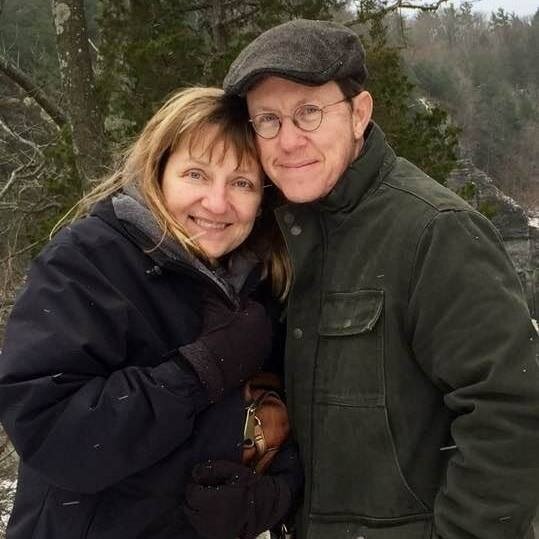 Warner’s Way Real Property Services, LLC is a property management and development company operated by Seth and Susi Brady-Adams, both native upstate New Yorker's whose lives and livelihoods took them to faraway places only to return.....home. It is a delight to be living and working in The Southern Tier and Finger Lakes Region! Susi Brady-Adams: (BS, Psychology, SUNY Geneseo) A Human Resources specialist, Susi’s excellence in client care and customer service has meant success for her in endeavors as varied as Quality Assurance Manager of Heritage Christian Homes of Rochester, NY to Production Manager at Letterpress Graphics, Inc., managing the time, talent and technical aspects of a 150 client, 2MM company. These days, Susi is our Business Manager and landlady extraordinaire -- seeing that our tenants and clients enjoy the utmost in professionalism and the attention to detail we all could only dream of. Seth J Adams: (BS, Communication Arts/Operations Management, Texas A&M) Founder and former CEO of Letterpress Graphics, Inc, a graphic finishing company serving the communications community of North Texas. A garage shop founded in 1989, the company has expanded, now employing over 40 craftsmen/women operating in 2 plants in Dallas and Fort Worth, Texas --under new ownership. Warner’s Way, named for Seth’s mother, was formed in 2001 as a real estate holding company that ultimately grew to follow his passion for historic preservation and mixed/adaptive re-use urban development. Our firm specializes in Incremental small scale mixed/adaptive re-use development of historically designated properties in city centers in the region, holding a New York State Broker License in the practice of Real Estate. Seth is an active member on the Board of Directors of Southern Tier Economic Growth (STEG, Chemung County), as well as active Member of the Urban Land Institute, Preservation League of New York State, New York State Commercial Association of Realtors (NYSCAR), and also serves on the Board of Directors of the Ithaca Concert Band, as their Publicity Liaison (terminal saxophone player and music fan). Our wide range of clients cover the real estate spectrum-- with discerning local and regional owner/investors choosing us because of our attention to detail and willingness to focus on their individual needs. Our Mission: Our mission in business is in providing excellence --in developing and delivering beautiful residential, commercial and live-work spaces-- in which our tenants and clients can thrive. For information about our projects, property offerings and availability, please do.... contact us today!